Are they going to make an Obi-Wan in cold gear too? 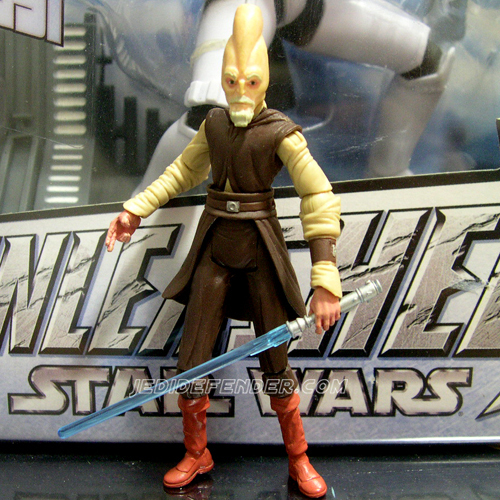 You could always pop off the head and replace it with a Clone Wars one. They are doing Obi in cold weather gear, but now animated which I think will ROCK!!! I also heard Cad Bane in disquise. Not sure if that is in clone trooper or jedi. Hopefuly both. 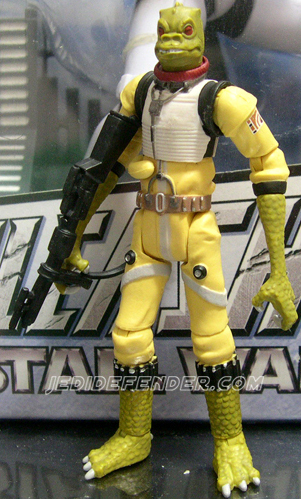 Really excited about the Clone Trooper with Heater Pack (i.e. flamethrower) and Firefighter Droid. Rumor is that the clone trooper with heater pack is going to be a trooper from the "Trespass" episode. So, the heater pack refers to something which keeps the trooper warm, not a reference to a flamethrower. Makes sense. Otherwise it would be flamethrower pack instead of heater pack. 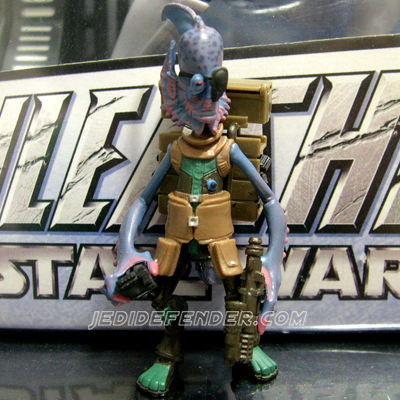 Did you see the added articulation on Cad Bane and Plo Koon on the versions that come with speeder Bkes? Not to mention added articulation on an new Kit Fisto as well. It wouldn't be that easy. They didn't have the same ball necks on the figures back then like they do now. The head it attached to the neck which goes into the chest piece allowing it to swivel left and right, but not up and down. Yakface.com is reporting that the Nikto Guard, which was unjustifiably aborted from the Jabba the Hutt set, will appear later this year as an exclusive to TRU.